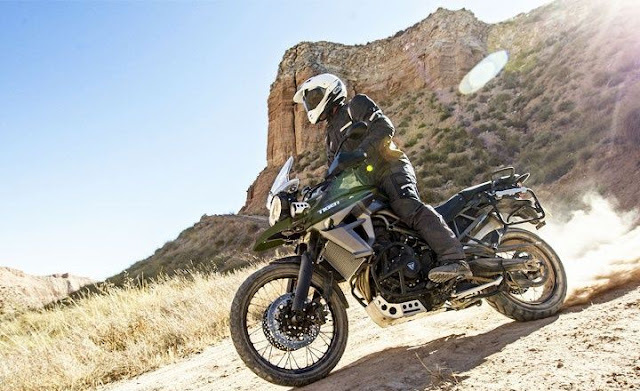 The Triumph Tiger 800 XCA will have the same mechanicals and cycle parts as the off-road oriented Tiger 800 XCx but will have more standard equipment, including heated rider and passenger seats and LED fog lamps. Triumph India will be launching a new variant of its 800cc adventure bike series the Tiger 800, called the Triumph Tiger 800 XCA. The Tiger 800 XCA will be the top of the line variant of the Tiger 800 series, in addition to the 800 XR, 800 XRx and the 800 XCx. In addition to the features of the Tiger 800 XCx, the 800 XCA will feature standard equipment like heated rider and passenger seats, LED fog lamps and an uprated 650W alternator complete with 3 auxiliary sockets to power anything from heated clothing to GPS sytems. The Triumph Tiger 800 XCA will be launched on September 3rd. 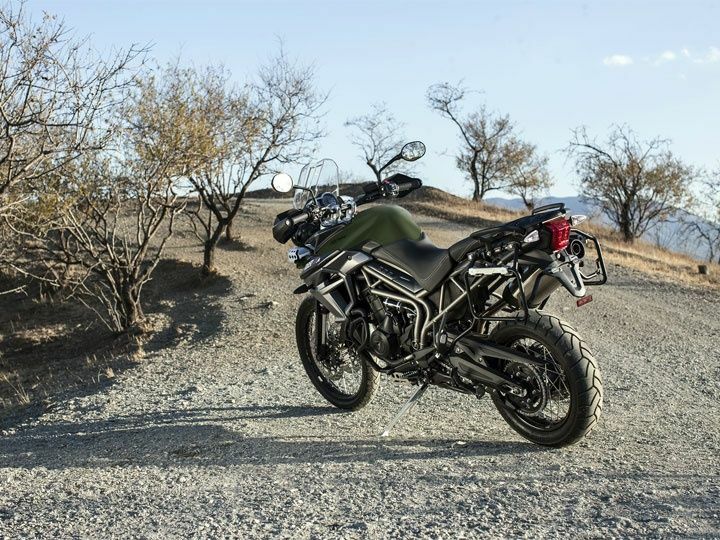 The Tiger 800 XCA also features aluminium pannier rails making it ready to tour with optional Expedition luggage set. The Tiger 800 XCA will be powered by the same second generation liquid-cooled in-line three 800cc engine, which makes 95PS power and equipped with traction control, switchable ABS, and ride-by-wire throttle with programmable rider modes. The Triumph Tiger 800XCx currently retails for Rs 13.3 lakh (ex-showroom) and we expect the Tiger 800 XCA to be priced around Rs 15-16 lakh (ex-showroom).